Democrat flack Adam Schiff, the leaker to CNN from the house committee meetings continues to wave the flag of Russia-Trump collusion knowing full well there is nothing there. Even after most of the Deep State players have moved on from collusion to obstruction innuendo against Trump, weasel Schiff continues to battle on, fighting windmills. The investigation by Robert Mueller continues and will appear to continue to be a mainstram media talking point until at least the 2018 midterms in an attempt to tamp down conservative progress. Media is actually looking toward a Democrat “wave” in the midterms. The lies are rampant throughout the media and the establishment politicians working to take President Trump down. The continually arrogant Alyson Camerrota declaring that the dossier is true and has been corroborated does not make it so (it hasn’t) . There is almost nothing in the dossier that is true, but that won’t stop the media leftists from continuing to push the lies. Michael Cohen was mentioned as meeting with the Russian Federation Council during August 2016, a claim that has been proven as being verifiably false. This and other false allegations are the basis fro the FISA warrant for wiretaps on Carter Page, and many other officials at Trump Tower. In U.S. v. Taylor 764 Fed Sup 2nd 230 and 235, it states “An attorney who receives privileged documents has an ethical duty to cease review of the documents, notify the privilege holder and return the documents.” Robert Mueller and his Special council broke the law by taking the Transition Teams privileged documents while Richard Beckler director of the TSA, the agency in charge, lay dying in the hospital. Not only were the Presidential Transition Team not notified, but the Special Council violated the law by possessing these documents and accessing them for investigation questions. It is now clear that this Special Council has never been about Russian collusion. General Flynn was forced to admit guilt for lying to the FBI for comments that may he been recalled differently, and after the depletion of all his assets, the harassment of his family and putting Flynn in the position of having to sell his home to meet his legal bills. The first name that shows the FBI complicit in this lie of a Special Council, Peter Strozk was the instigator of the Flynn inquisition. Even Adam Schiff, concluded that there was nothing wrong or improper about an incoming administration to confer with Russia about policy. This is being used as a battering ram and getting the media all worked up about collusion. But what of the collusion on the part of the Clintons and Democrats on Uranium one? Or Hillary pushing the Russian collusion and dossier after the election. A dossier of “oppo research” financed by the Clinton Campaign, the DNC, and very possible the FBI? While the MSM wring their hands about the meeting that Donald Trump Jr had with a lawyer from Russia, why are they not talking about the Hillary campaign being able to pay a foreign intelligence agent to give false information to the mainstream media? 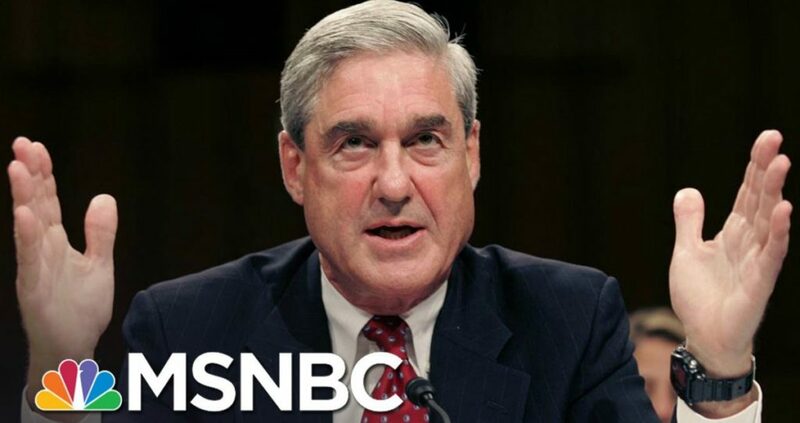 The Mueller investigation has degenerated into a fishing expedition, including the investigation team putting out false information to the mainstream media, such as the information that Deutsche Bank had been subpoenaed for personal financial records for President Trump, a lie of epic proportions that the mainstream media ran with without any verification. First, let’s take a look at Andrew Weissmann who attended Hillary Clintons election night party and praised the acting attorney general, Sally Yates who refused to do her job and defend the President stay of travel from countries that were first delineated by Obama. There is also Aaron Zebly who worked at the same law firm as Weissman and was chief of staff to Mueller when he was FBI director and represented Justin Cooper who is responsible for helping set up the e mail server for Hillary Clinton and admitted destroying Hillarys old devices. Or what about Bruce Ohr , an Obama Justice Assistant Deputy District Attorney who met with Fusion GPS and Glenn Simpson the founder of Fusion GPS. His wife Nellie who actually worked for Fusion GPS on the Trump disinformation campaign. How are they allowed to even be considered for this special council. Of course, Peter Strozk is a large part of the cabal of the election meddlers. From the investigation of the Clinton server, the ambush of General Flynn, to the changing of the exoneration memo he fed to James Comey, to the interviews of Huma Abedin and Cheryl Mills, to his meeting with his mistress and Andrew McCabe about how to stop Trump he is complicit in treasonous activities. The meeting can be assumed to initiate the campaign based on the dossier campaign that has been totally debunked, no matter what the talking heads on CNN may claim. It is interesting that the FISA warrant for spying on the Trump Administration that was taken to the FISA court by the FBI, was submitted a few days after the Strozck –Page-McCabe meeting. The FBI, The DOJ and the Intelligence community is rampant with establishment persons on both sides of the aisle that seek to dismiss the President. Others that should be investigated in the debacle that our government has becomes is such people as Bill Priestap, Jonathon Moffa, DOJ Deputy General Counsel Trisha Anderso and others. They should be investigated not only in the treasonous attempts to take down Trump, but also the activities from false information, to the changing of legal terms and allowing the prosecution of Hillary Clinton for corruption, lying to Congress and even the coverup of four brave men who died in Benghazi to further the career of Hillary Clinton.